Shad Moss (aka Bow Wow) is taking the time to expand his "lane" or brand, some would say. 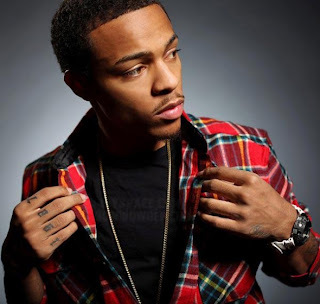 The 25 year old actor/rapper and now host of B.E.T. 's 106 & Park (I mean he is Mr. 106) is as Kobe Bryant would put it.."putting on his big boy pants" and showing a very mature side of himself, all while making sure to give his millions of fans a piece of himself daily. Now that step has taken him to the Queen of Talk, Oprah Winfrey...where Bow will be interviewed for the OWN network. With a life that Shad has had since he was 6yrs. old, I know he and Oprah will have a lot to talk about. I'm sure a "love life" question will be placed in there somewhere, along with maybe a question about his relationship with his dad, you know the sometimes uncomfortable questions. But Oprah will have to get up early in the morning for Bow, because he pretty much allows his fan to know a lot about him already...sooo make it good for us Oprah. Check out the post that Bow put on Facebook recently. He talks about the Underrated album (that we have still yet to hear...honestly I don't think we will as long as Drake, Nicki, & Wayne are making albums. One thing I will say is I know he a loyal type guy, so he won't really make a "big deal" out of this in public...but I seen this coming the day he made the announcement. He also let it be known that he will drop another Greenlight Mixtape Series: Vol. 5 in 2013. SideNote: What's wrong with continuing to make history where you started it at? I mean there are relationships that God brings together in ways more than just marriages. The chemistry with JD/Bow in the studio still is a hit making team. Couldn't they grow the "lane" together? I'm so glad that Bow & Chris still have a good friendship. They both grew up in the industry (Bow more than Chris) and yet through it all their friendship remains in tact. Not too mention it seems as if Bow let it be known that Chris is happy (and has BACK everything he wanted in his life..lol). Yet this is the post that was most touching for me. I have heard countless celebrities talk about not wanting to carry the burden of being a role model, but I agree with Bow...it comes with the territory. It's a responsibility that anyone with influence must embrace and be held accountable for to some degree. We all must remember celebrities are humans, and are subject to err in some way or another, but rather than attempt to bury them, we must pray for them, and keep them lifted up before God, that they may be strengthened at all times to make good decisions. Congratulations Shad Moss, you are becoming a great man, father, role model, and example of what walking in destiny looks like. Now tell me who was the EX, who you happen to LOVE TO DEATH, that had you smiling like a kid in a candy store? Haha..yea I know you mysteriously took that post down..lol. All love!